This topic contains 4 replies, has 3 voices, and was last updated by schrombomb 1 year, 2 months ago. A favorite of mine for any of the forums/groups I’ve belonged to over the years. 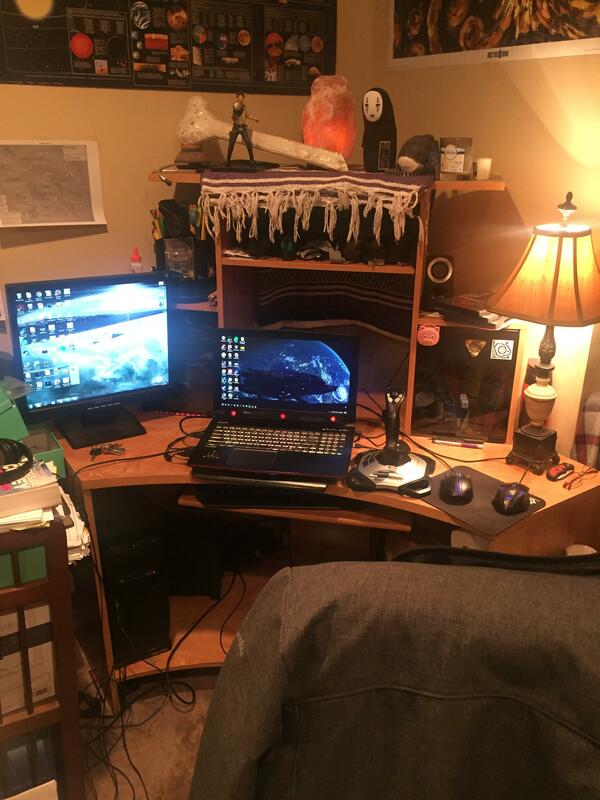 Post pictures of your battle stations! This reply was modified 1 year, 6 months ago by RaumfahrerSpiff. 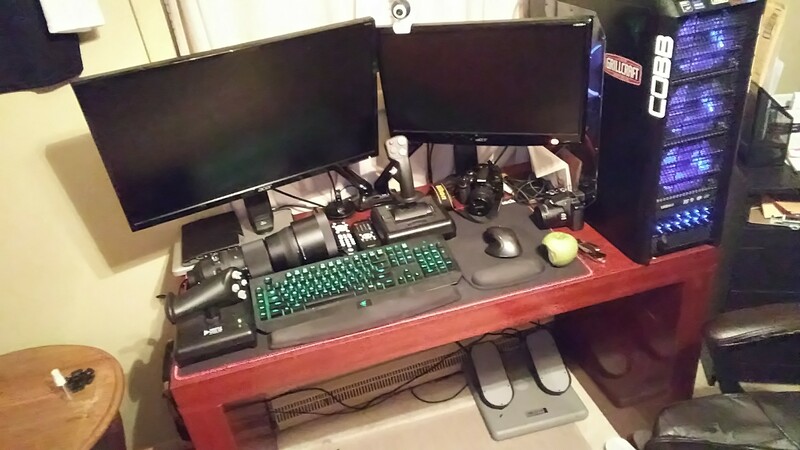 So what do you game on lol. Whats with that broken bone? And what do you have printed and taped to the wall on the left? Elite on the laptop, Netflix/reddit/discord on the desktop (it’s a potato). The bone I made as part of my Cubone cosplay. And that is a bird’s-eye map of one of the Gaurdian’s ruins (there’s another one just out of frame). Saw this and had to bring it back from the dead. 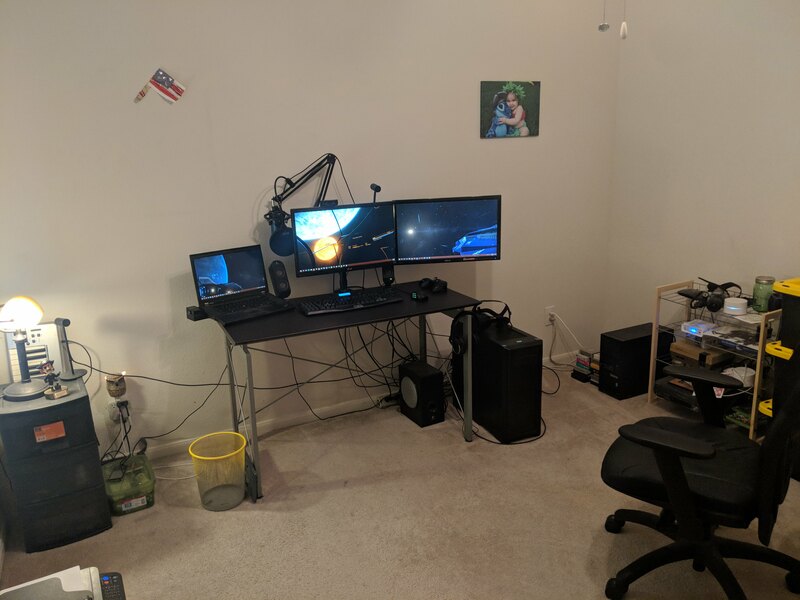 This room is about to become a new baby’s room, so when I move the office I’ll likely switch to wall mounted monitors and a sound bar. Maybe I’ll clean up the wires too.